Welcome to Day #8 of Chocolate, Plants and Herbs Theme Week. 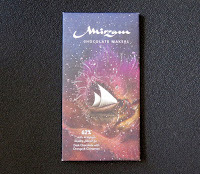 Today's Marja (Berry) bar - Chocolate Topped with Wild Berries 71% Cacao bar was from Goodio Craft Chocolate (Helsinki, Finland). The blackcurrant leaves* in this plant-based blend seemed like an interesting new ingredient add to the ("Chocolate and What?") 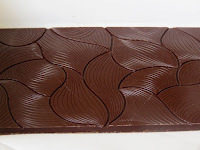 list on ChocolateBanquet.com. And the splay of green leaf bits and colorful orange and scarlet red berry pieces created a beautiful back-of-bar still life. 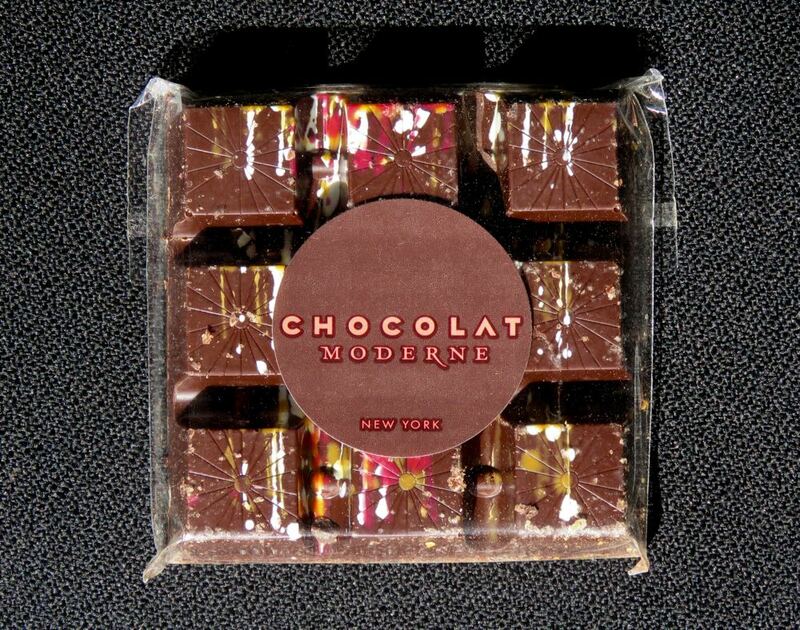 The chocolate had a dark chocolate and coconut sugar** aroma, and dark, very slightly bitter (but not unpleasant) and herbal flavors—balanced by small bursts of tart-sweet wild berry notes. 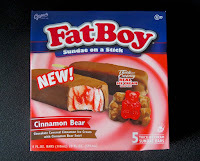 It was a satisfying bar and not too sweet (thank you!). *Ingredients: organic cacao beans, organic coconut palm sugar, organic cacao butter, dried blackcurrant leaves, dried wild berries (wild strawberries, sea buckthorne, lingonberries), and organic crushed sea buckthorne. 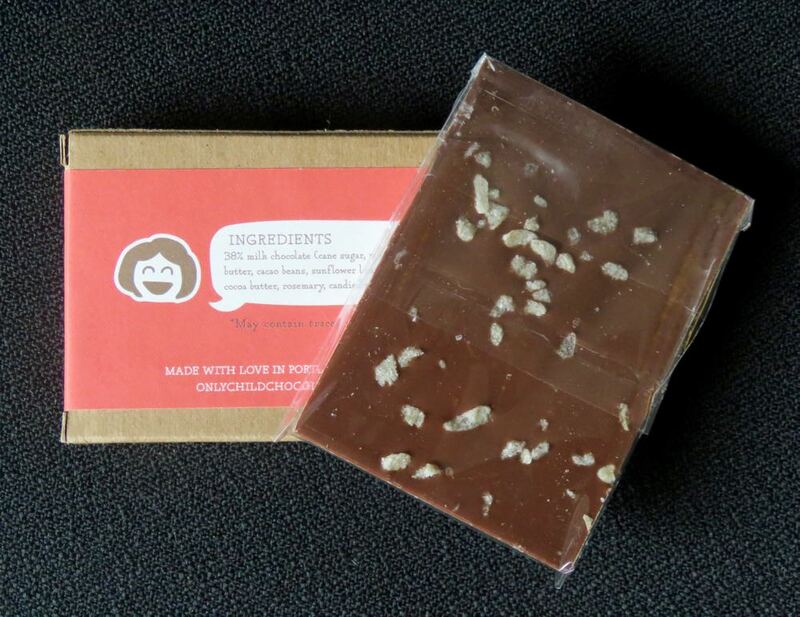 **Goodio does not use white sugar in their bars. Welcome. We interrupt the Chocolate, Plants and Herbs Theme Week to celebrate Easter. Happy Easter to all who celebrate. Birds and hatchlings are everywhere this week, so it seemed appropriate to celebrate Easter with some chocolate eggs. Today's Chocolate Robin's Eggs were from Knipschildt Chocolatier (Norwalk, CT). These speckled and spattered, multi-colored blue and greenish-yellow mini eggs were a blend of white chocolate, filled with dark chocolate ganache (filling). They had a pleasant cocoa/chocolate aroma and a very smooth, almost creamy melt and mouthfeel. These chocolates were a bit sweet, but they were fun and better quality than many Easter chocolates sold in stores. Welcome to Day #6 of Chocolate, Plants and Herbs Theme Week. 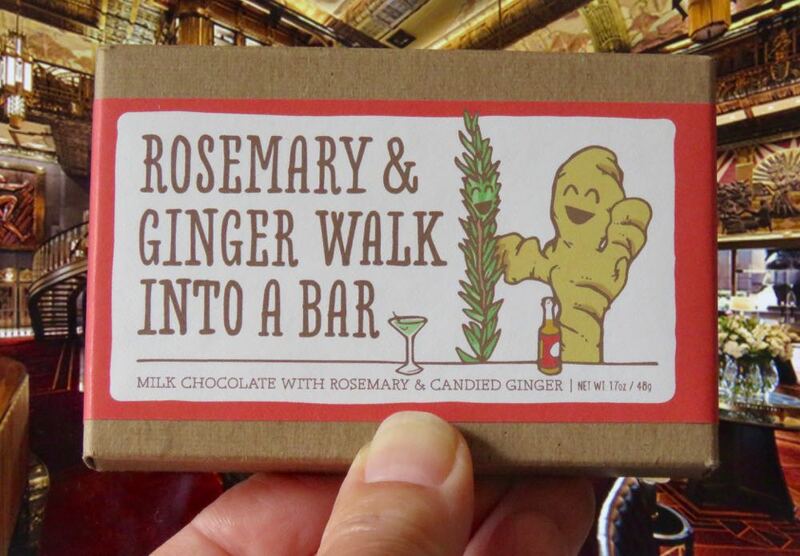 Today's Veggimins CBD Chocolate Bar was produced by Windy City Organics, LLC (Northbrook, IL). 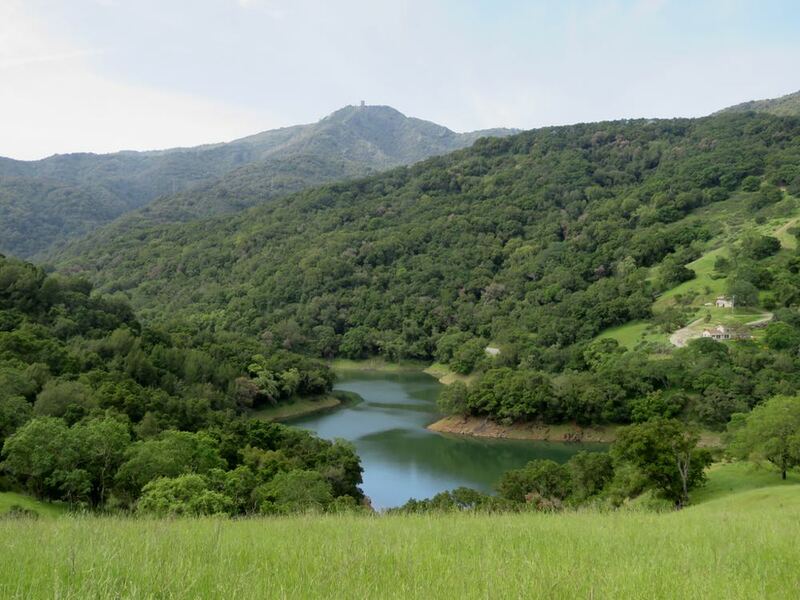 This family-owned company is committed to making sustainable, healthy foods, included several different items with cacao. 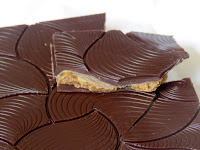 The raw,* organic, chocolate was made with stoneground cacao and was sweetened with coconut sugar. 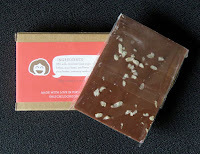 This bar may have contained CBD (the component in hemp without the psychoactive properties of THC), but all we could taste was a pleasant, stoneground, raw 70% cacao bars with coconut sugar. That is, CBD did not impart flavor or any obvious effect. Why include it? It's thought that CBD may have the ability to relax the consumer. One wonders, might this counteract the stimulants (theobromine, caffeine) in chocolate? The idea of balancing or package a stimulant with a relaxant is not a new concept, but it's an interesting one when you think about it. 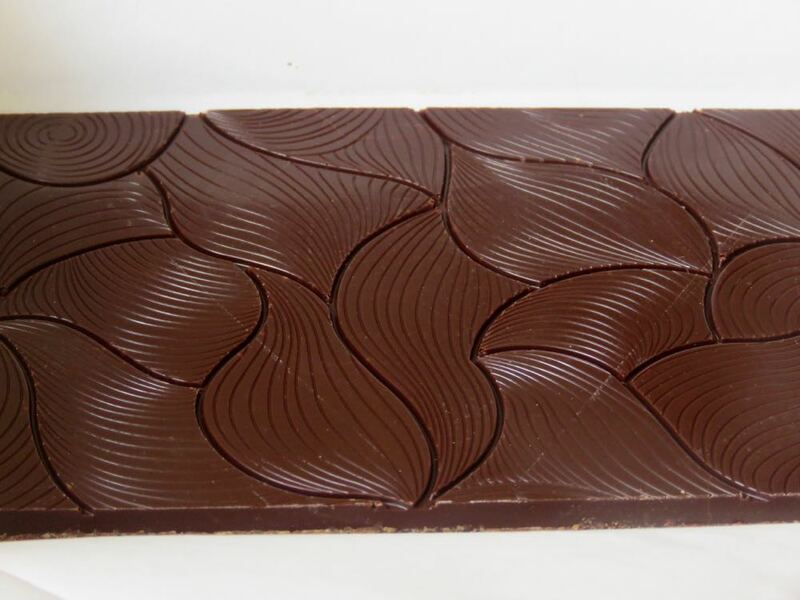 *Raw chocolate has a slightly different taste profile than chocolate made with roasted cacao beans. Roasting cacao can impart strong, roasted and bitter notes. Some like the stronger flavors of espresso roast coffee beans, and roasted cacao; taste preferences may vary in cacao just like coffee or wine. Unroasted cacao can be slightly milder (although raw cacao may have earthy or other flavor notes). Although flavors differ, most raw cacao illustrates a preference for preservation of certain compounds and flavor notes. Welcome to Day #5 of Chocolate, Plants and Herbs Theme Week. 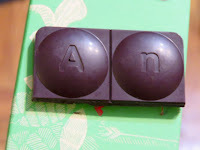 Today's Veggimin Dark Chocolate Hearts with CBD were from Windy City Organics, LLC (Glenview, IL). This coconut-sugar sweetened, tiny, dark chocolate heart Veggimin sounded like it might be a vitamin, but contained no significant amounts of vitamins or minerals (at least in the tiny heart-shaped piece (serving) we tried). 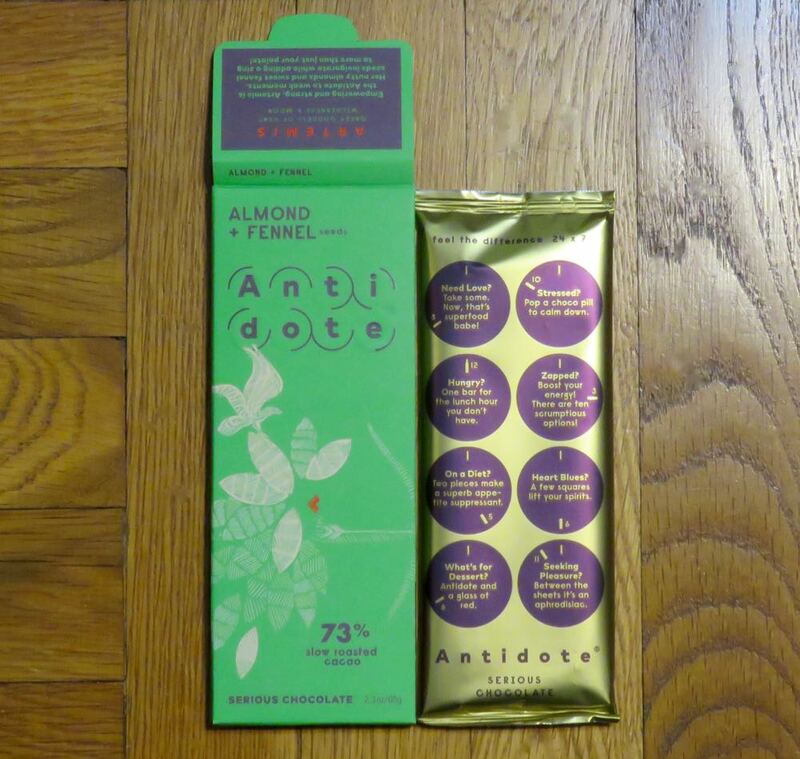 This chocolate did contain a small amount of CBD* from hemp oil. 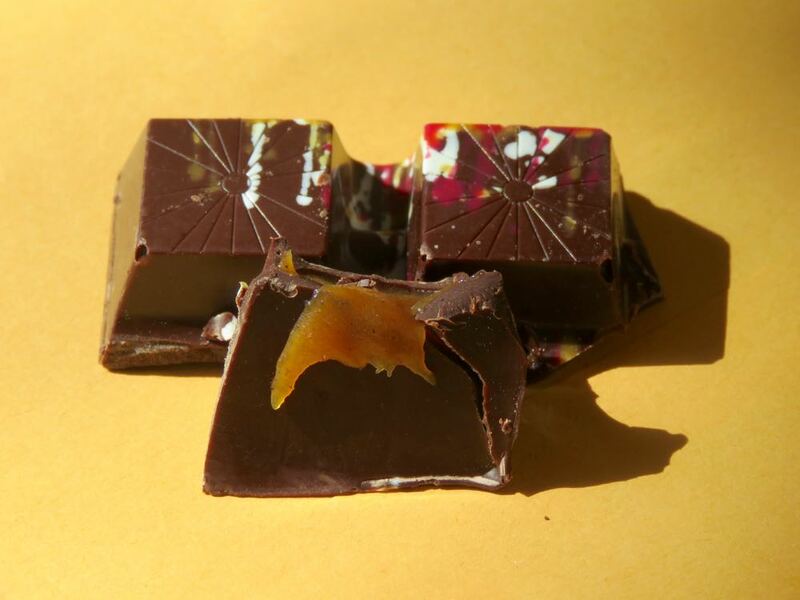 This is part of a trend of infusing chocolates with CBD, now that parts of the hemp plant are more available to chocolatiers and consumers. It had the aroma and taste of a dark chocolate sweetened with coconut sugar. *CBD (cannabidiol) and is not the same as THC (tetrahydrocannabinol)—the compound in marijuana that has psycho-active properties. Welcome to Day #4 of Chocolate, Plants and Herbs Theme Week. 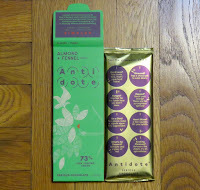 Today's Artemis: Almond + Fennel 73% slow roasted cacao bar was from Antidote Chocolate (Brooklyn, NY). 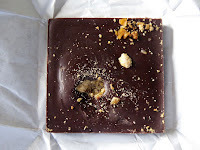 The chocolate (made with slow roasted Arriba Nacional cacao) had a deeper, darker flavor than most 70ish-percent bars. Almond pieces gave this dark chocolate a slightly nutty aroma and flavor. 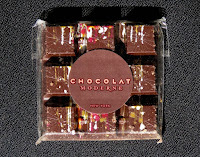 And the sprinkle of fennel seeds gave this dark chocolate a faint savory herb aroma and crunchy, seedy texture. 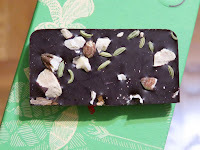 By comparison, in yesterday's bar fennel was incorporated into a date filling, and had a sweeter, more prominent licorice flavor. For those that don't care as much for licorice, the more subtle fennel flavor in these seeds might be more to your liking. 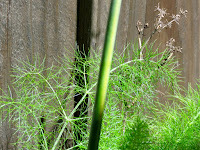 Shown at left is a fennel plant with green fronds sprouting in the spring. 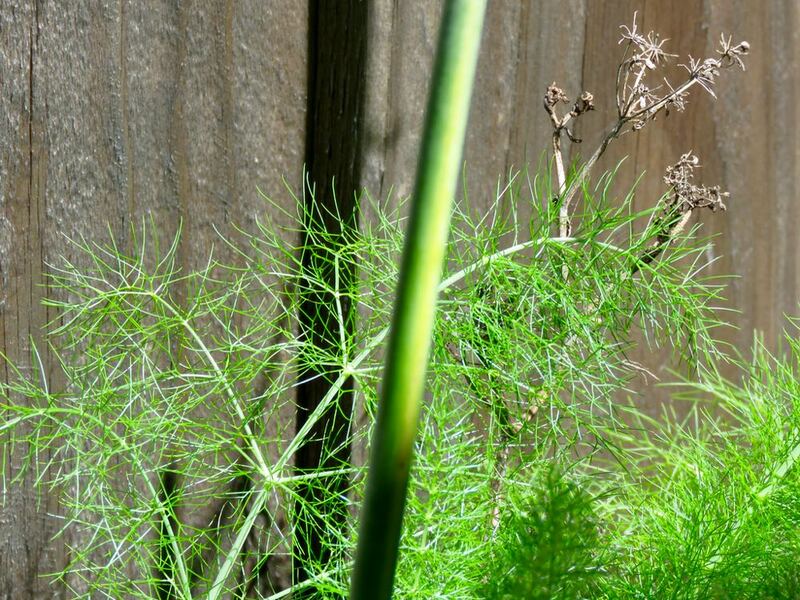 Fennel is an edible plant (bulb, shoots and seeds) that looks like dill and the new green fronds taste quite sweet with a strong licorice flavor. Welcome to Day #3 of Chocolate, Plants and Herbs Theme Week. Using this thin layering technique, flavors were made very accessible in this slim bar. And careful crafting of said flavors resulted in maximum taste without any one flavor overwhelming the other. 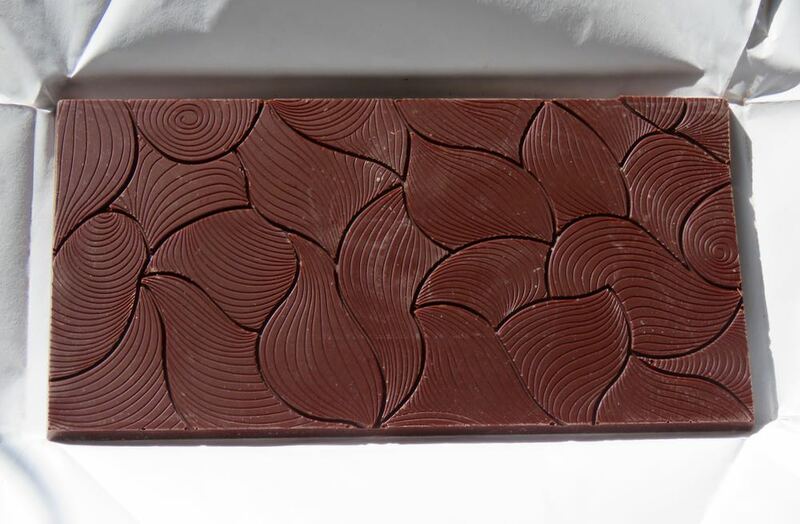 What was the inspiration for this chocolate? 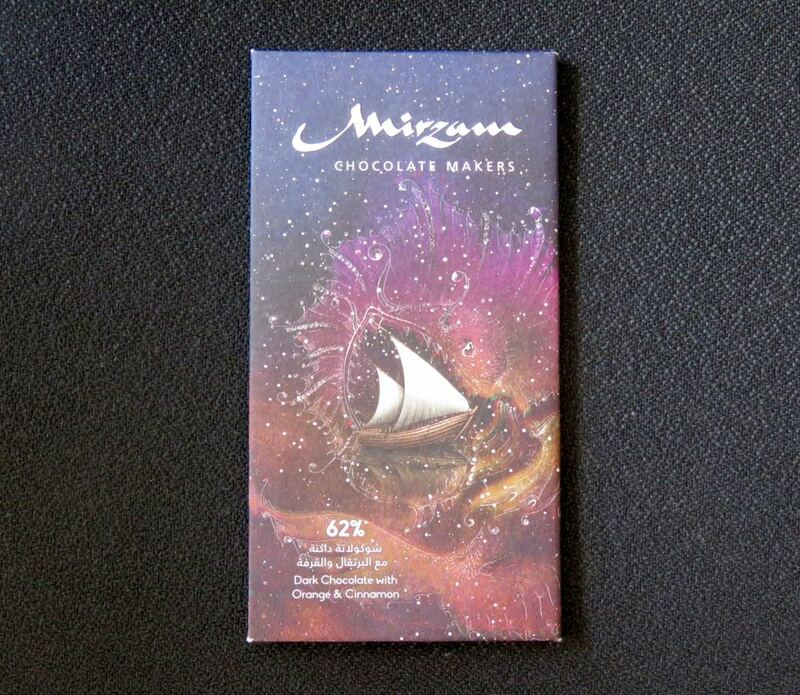 Mirzam* Chocolate, the brand, was created a few years ago with next year's Expo 2020 in mind. (This large, global exposition is planned to be hosted by Dubai, UAE, next year.) Dates would certainly have been discussed from the beginning. 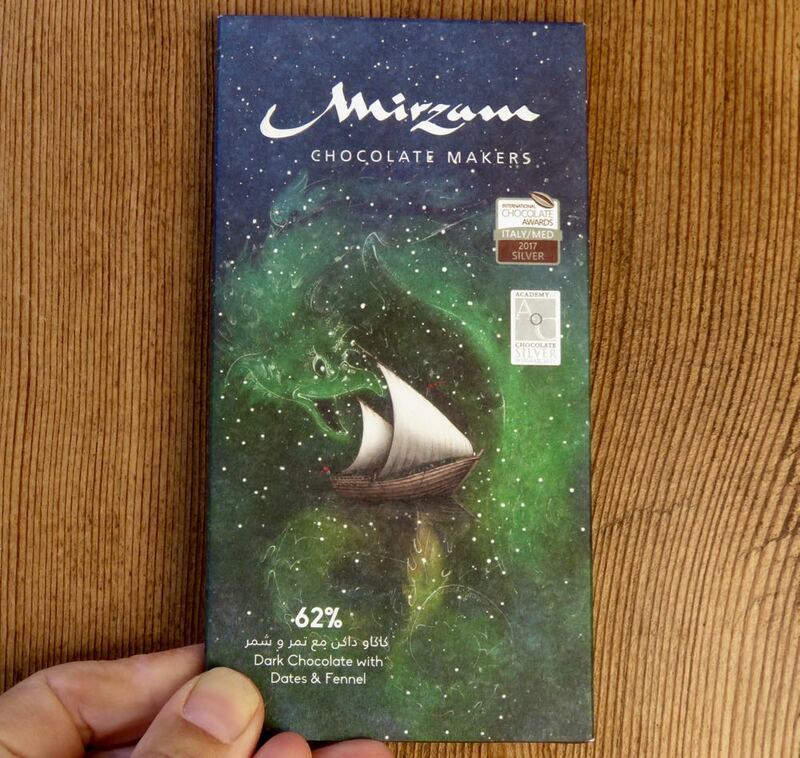 Flavors and inclusions in several Mirzam high-end craft chocolate offerings were informed by spices and foodstuffs found on ancient maritime Arab spice trade routes. Fennel, full of mild, sweet, licorice flavor, would have been available in nearby Mediterranean regions. It grows well on other continents now too. 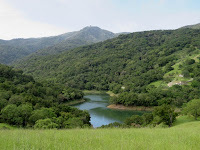 It's bright green fronds are popping up in backyards and baylands in the San Francisco Bay Area this spring. Every part of this plant (frond/green, bulb, seed, stalks, etc.) is edible. *Mirzam is a pulsating giant star located in the Canis Major constellation. Welcome to Day #2 of Chocolate, Plant and Herb Theme Week. The aroma was mild and pleasant, as was the tasting experience. 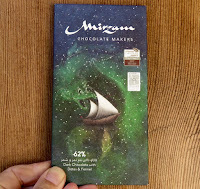 The unwrapped bar displayed an intriguing constellation of inclusion bits on the back side. This 70% cacao bar was made from cacao sourced from Ecuador and had a creamy melt. 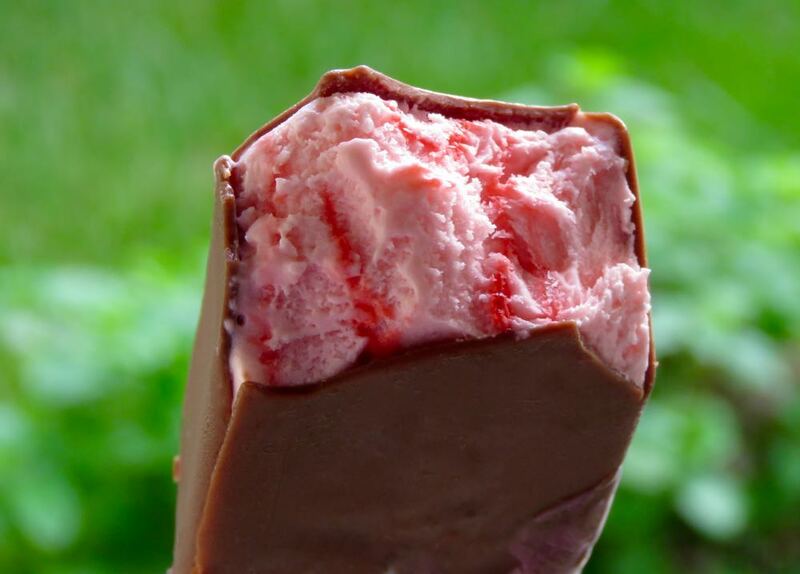 (In very cold weather, you might notice the melt is slightly waxy, as the number one ingredient is cocoa butter—not a bad thing.) 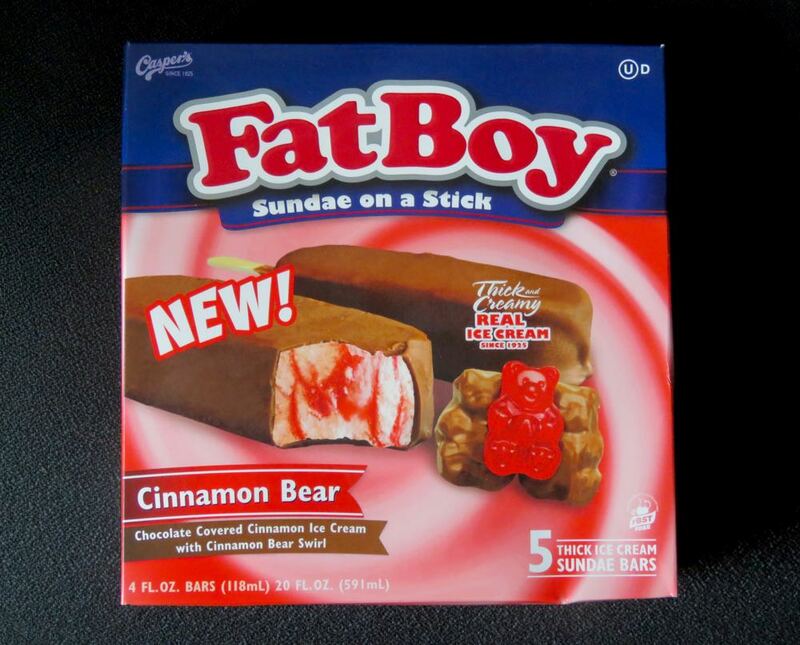 The flavors were mild (muted somewhat by the cocoa butter). As with other bars from this same company, it felt very balanced and relaxing. 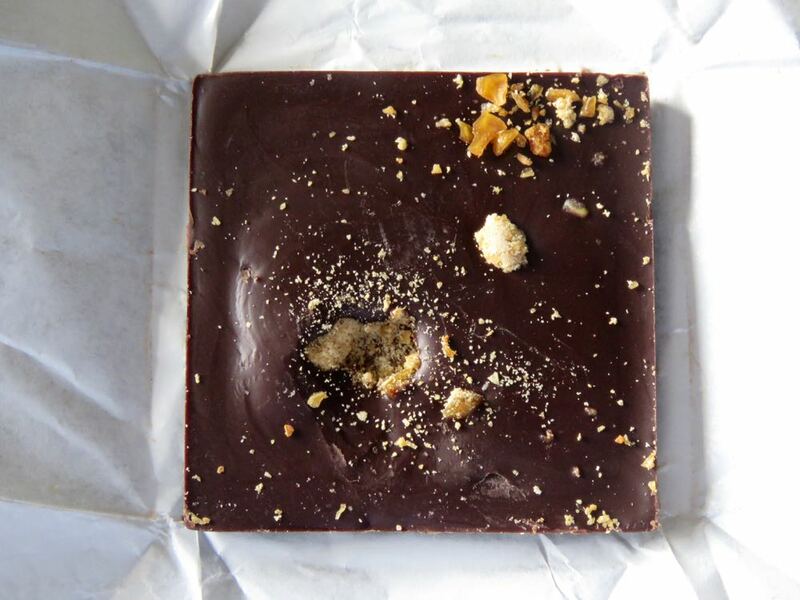 Their bars are slightly lower in cocoa solids (that contain the stimulant portion of cacao) than some other bars and lack refined sugar. (Bars are, instead, lightly sweetened with honey and, in today's case, also with a bit of organic maple syrup.) The organic powdered moringa* was very subtle, and would have been hard to pick out in a blind taste test. 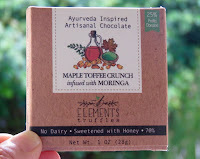 This Ayurveda-inspired chocolate made me feel more serene than hyped up. I feel I could meditate or enjoy a peaceful conversation or walk after this company's chocolate. Again, a good thing, in a world that can often feel too hectic or busy. *Moringa (Moringa oleifera) comes from the Moringa tree native to India, Pakistan and Bangladesh and is cultivated in Asia and Africa. Moringa has been used for medicinal purposes. (It has anti-fungal, anti-bacterial and other properties.) The pods, seeds, leaves and roots are all edible.